I had this little thing happen in my life recently. You might have heard. 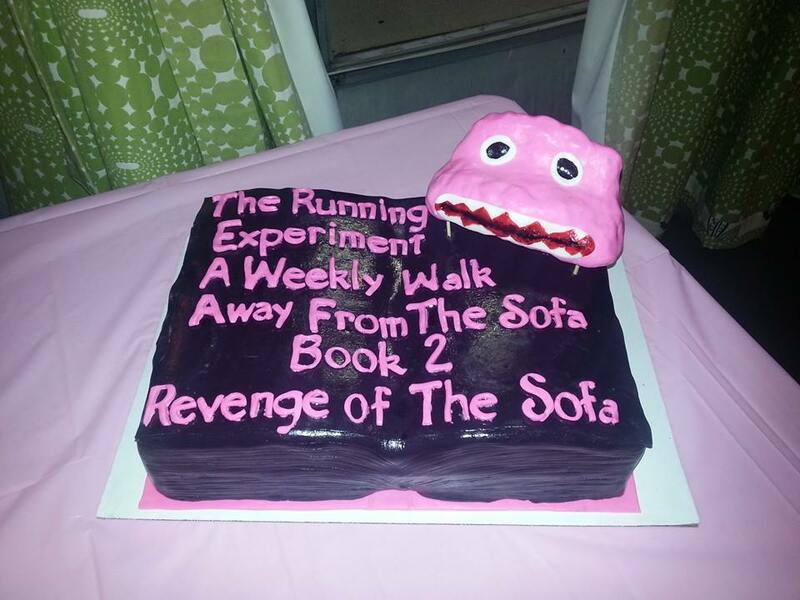 A certain book came out…The Revenge of the Sofa and if you have not gotten your copy yet, I want to know why not! I mean, don’t you like to laugh, eat pie, read about BFF and I getting into all sorts of situations, cry, and laugh through your tears? There really is no reason. So go on…do it….grab a copy and some pie and read. 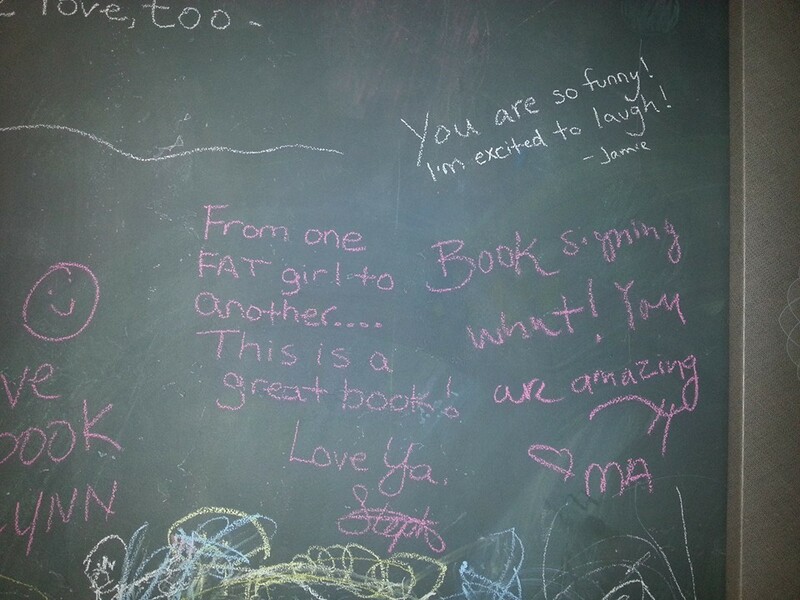 I decided to have a book release party like I did for the first book so that family, friends and co-workers could grab their copies, I could write something witty inside and sign my Jane Hancock on it. Plus, any excuse to eat cake is a good excuse. I mean, really, do you need another reason? I think not. So, BFF and I went to the party store and got everything pink you could find. 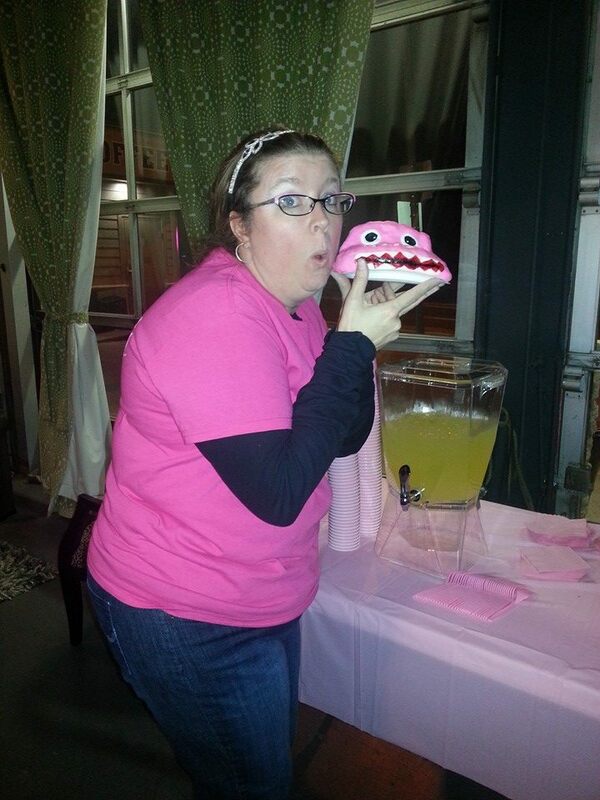 It might have looked like a cotton candy machine barfed in there but hey…I like pink. So cotton candy barf pink it was. A local photographer, Anna LaBenz offered for me to use her studio for the party and I was excited. She has this amazing space with lots of room to host such a gathering. 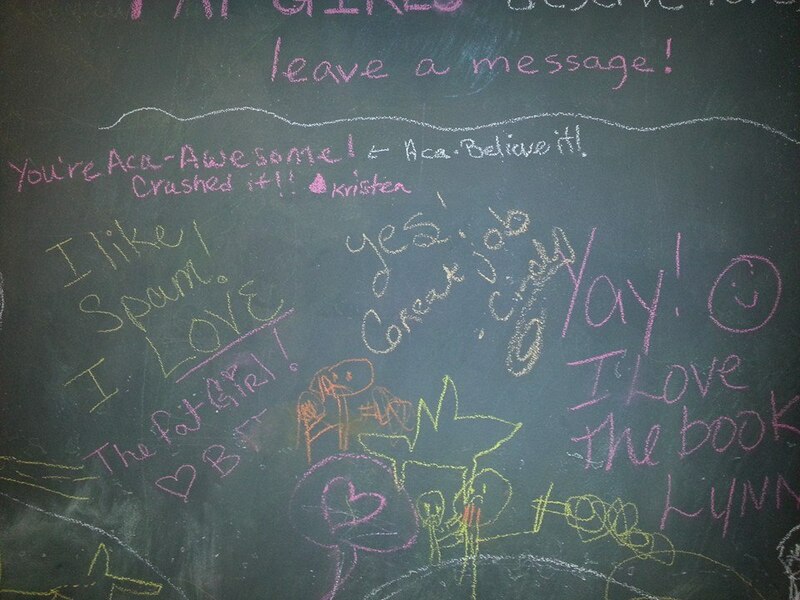 She even has a fun chalkboard wall where people could write messages…we might have had a little too much fun with that one. 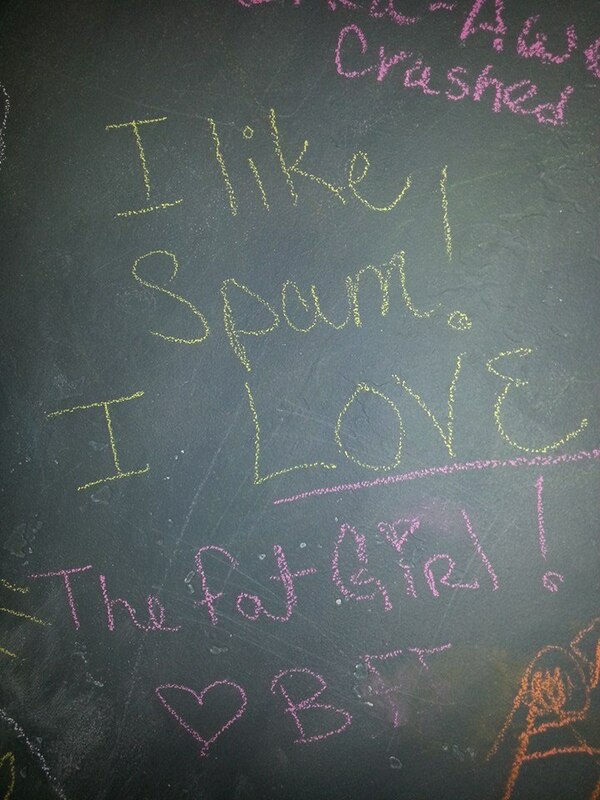 Appropriate or not, we had great messages left by those who love The Fat Girl. Not only did we have cake, but we had cookies, Skittles, ice tea and what was supposed to be lemonade but BFF and I quickly determined was yellow flavored drink. 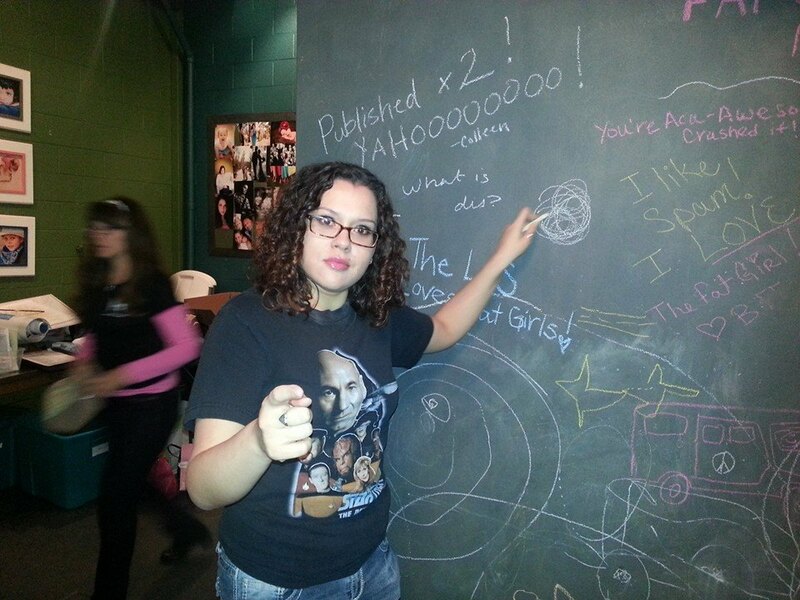 That did not taste like lemonade at all. I am not sure what it tasted like…it didn’t taste bad, but I for sure would not call it lemonade. We might have overestimated the need for so many things to nosh on but that is hey…an Irish and a Mexican planned this little soire and we always overestimate food. We are afraid there will not be enough bit really we had enough to feed some small country in Africa. BFF and I could have single-handedly ended hunger in that country…ok that might be a tad over exaggerated, but you get the picture. Lots of sweets to give you Diabeetus. Because nothing says you love my books like Diabeetus. 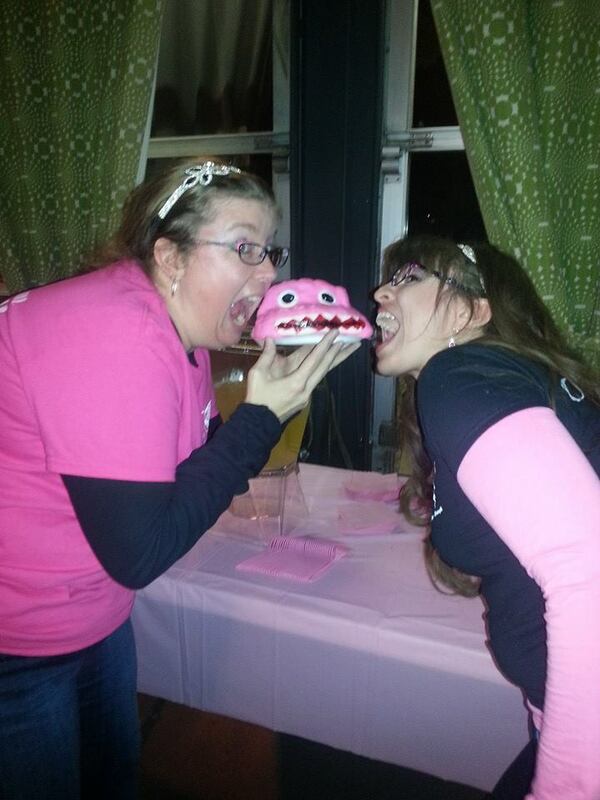 Oh this cake….so delish. Even the fondant…how is that even possible? 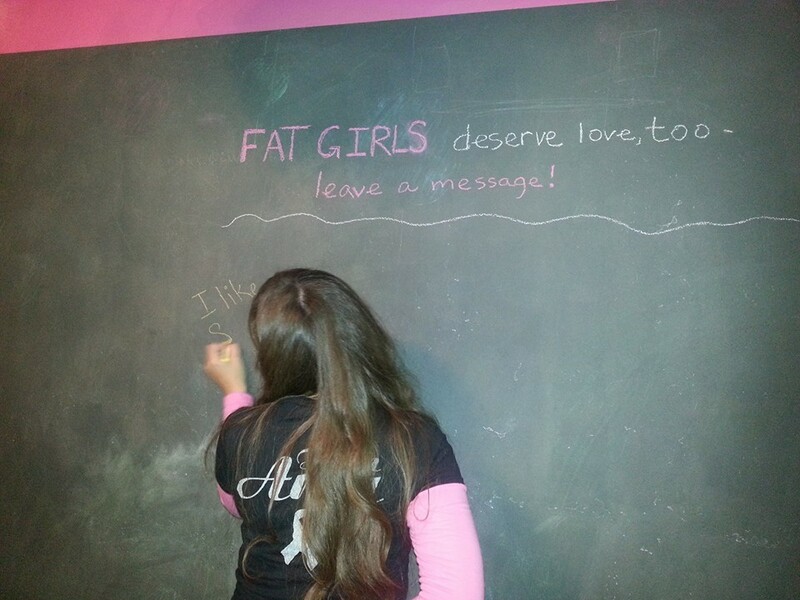 So, if you have not yet gotten in on the #FatGirlRevolution and gotten your book yet, Then here are the links for ya to do so. Also leaving a review on whatever various site you want would be awesome!! So get your copy of Revenge of the Sofa on Amazon or Barnes and Noble and get reading…and laughing.